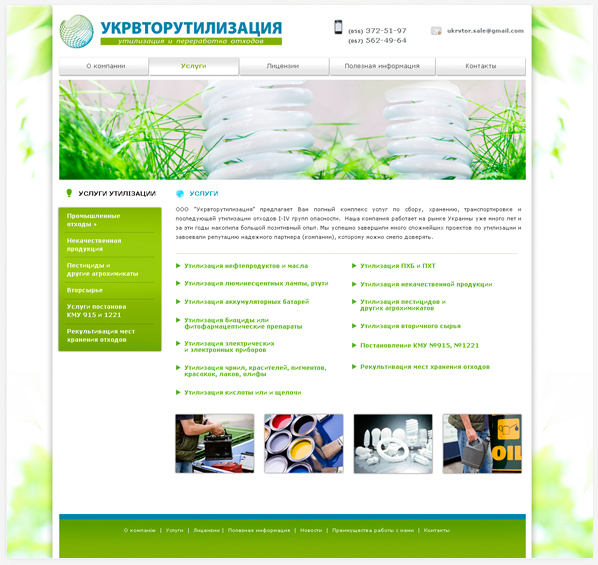 The company Ukrvtorutilizatsiya is engaged in the disposal of any dangerous and non-hazardous industrial and household products and goods. 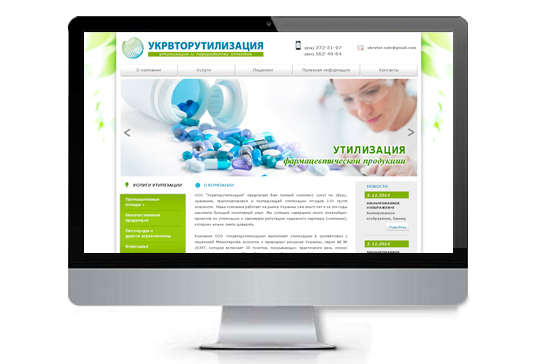 The purpose of the company is cleanliness. 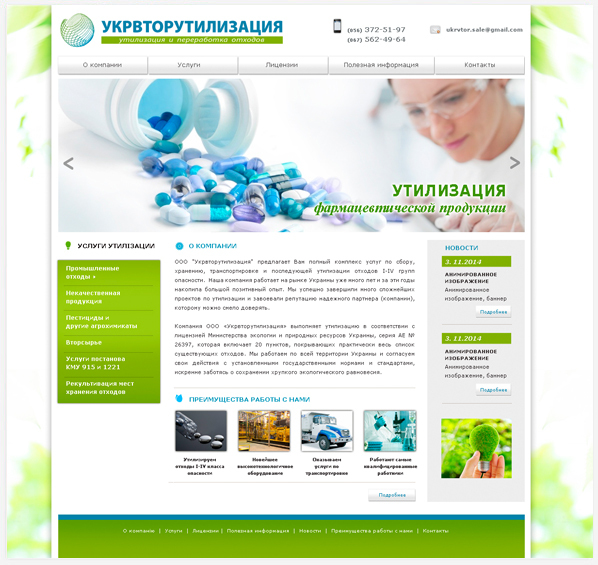 Therefore, in the design of the corporate identity and the site there are green and blue colors, as well as plant elements.